Separation of Mosque-Church and State‏ – For Christians, To be Born Again in Islam! This post is part of the Muslim Times’ campaign to demystify Sharia Law and diffuse the propaganda of the fundamentalist Christians and power grabbing politics of the Muslim fundamentalists, to liberate the free thinking moderates! Is Islam for Germany and Separation of Mosque-Church and State? Source / Courtesy: The Review of Religions On the 2nd Day of the Ahmadiyya Muslim Community Germany’s Annual Convention (Jalsa Salana) on 25th June 2011, Hadhrat Mirza Masroor Ahmad(aba), Khalifatul Masih V, Fifth Successor to the Promised Messiah(as) and Head of the worldwide Ahmadiyya Muslim Community, delivered an address to an audience of over 300 non-Ahmadi guests. The majority of the guests were of German origin, whilst delegations from Macedonia, Slovenia, Kosovo, Bosnia, Albania, Bulgaria, Turkey, Malta, Hungary, Lithuania, Estonia, and various Arab countries were also in attendance. The guests included people from various professions, including doctors, teachers, lawyers, politicians, as well as ordinary citizens. 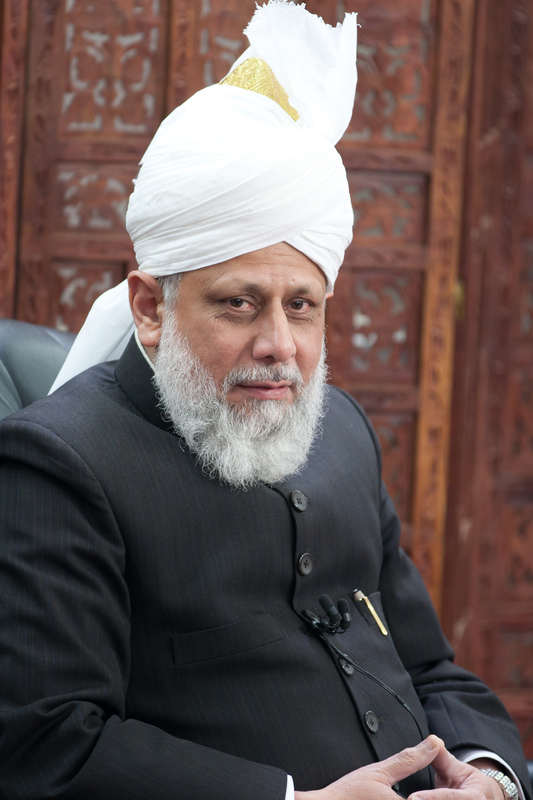 We present below the transcript of the address delivered by Hadhrat Mirza Masroor Ahmad (aba):After reciting Tashhahud, Ta’awwudh and Bismillah, Hadhrat Khalifatul Masih V (aba) said:“All the distinguished guests: Assalamo ‘Alaikum Wa Rahmatullahe Wa Barakatohu – Peace and blessings of Allah be upon you all. First of all I would like to thank all of the guests who, despite not being a part of our religion, are attending this event taking place within our Annual Convention. This program today has been organized specifically for our non-Ahmadi friends, and indeed the majority, or at least quite a number of guests, are non-Muslim. Certainly, your attendance at this event demonstrates your broad-mindedness, whereby as citizens of Germany, you appreciate that it is important to understand and recognize each another, irrespective of religious differences. Look at the true picture of Islam portrayed by the Ahmadiyya community. It is on these teachings that you should base your judgment. This is a wonderful three part documentary, three hours long! The documentary proceeds in a chronological fashion based on the life of the Holy Prophet Muhammad, may peace be on him and the third part has a fairly detailed discussion on Sharia and polygamy. It’s a television first, claims the BBC Press Office. OK they would say that wouldn’t they but I think it might be the first time in decades – if not ever – that a British network has screened a program, let alone a series, about Muhammad. According to the blurb it charts the “extraordinary story of a man who, in little more than 20 years, changed the world forever”. The series as a whole raises questions about some of the more contested areas of Islam such as women, religious tolerance and conflict. New Jersey Governor Chris Christie is defending his pick of a Muslim for a state judgeship, saying critics of a lawyer who represented suspects after the Sept. 11, 2001, terrorist attacks are “ignorant” and “crazies”. Sohail Mohammed, 47, was sworn in July 26 as a Superior Court judge in Passaic County. Some political columnists and bloggers have accused Mohammed of having links to terrorism and said he’ll be more likely to follow Shariah law, religious standards based on the Koran, instead of state or federal statutes. Christie, a first-term Republican and former U.S. attorney, told reporters July 26 in Newark that he met Mohammed after 9/11 when he represented Muslims detained by the FBI. Mohammed, of Clifton, “played an integral role” in creating trust between the Islamic community and law enforcement, Christie said. You might have seen a government-required sign at a McDonald’s restroom telling employees to wash their hands. Muslims do this as a part of living their faith, which is called sharia in Arabic. The Prophet Muhammad also encouraged Muslims to wash their hands before and after eating. Muslim parents raise their children on many such manners. The first chapter in almost all books on sharia is about morals and manners of cleanliness, which Prophet Muhammad said is half of the faith. God’s peace and blessings be upon him. When Muslims begin anything they say, “in the name of God.” — that is sharia. When they greet each other, they smile and say, “Assalamu Alaikum” (peace be with you) — that is sharia. Critique and refutation of such fear mongering is the theme of this volume of Alislam-eGazette that will be going out to more than 40,000 recipients. Follow us on Twitter @alislam_org for updates. One of the points President Obama makes is that the scripture has to be translated into a universal message by the believers, one that is befitting the realities of our global village. Shariah is a misunderstood and misused concept. Critics of Islam frequently employ terms like “creeping shariah” to stoke fear amongst the masses. The Park 51 controversy and the increasing media focus on Islam provide an opportunity to educate Americans about the true teachings and practices of Islam concerning shariah. Shariah literally means “a path to life-giving water,” and refers to a defined path upon which all God-fearing people are advised to tread. It is grounded in the recognition of God’s existence. Shariah presupposes that there is a God. God reveals His desire of how man should shape his destiny, and God’s will is manifested in the form of certain laws or principles. These laws or principles constitute shariah. Shariah is not unique to Islam. Every faith has its own form of shariah. In the United States, for example, our legal system already permits some narrow civil matters to be settled through alternative dispute resolution. Among such alternative mechanisms is the beit din, or rabbinical law courts. American Jews routinely go before beit din to arbitrate real estate deals, divorces and business disputes. Unsubscribe | Contact Us | eGazette Team | Sitemap | Twitter | Facebook | YouTubeCopyright © 2011 Ahmadiyya Muslim Community. All rights reserved.